We did not meet or communicate with Francois Robert but love his imagery. The image was a machine gun made out of bones from a photo by the amazing artist Francois Robert who has whole series of bones collaged to form powerful images. The Oakland Nomads, a squatter group that some of our chalkers belong to, had requested something anti-violence for a project they were working on. 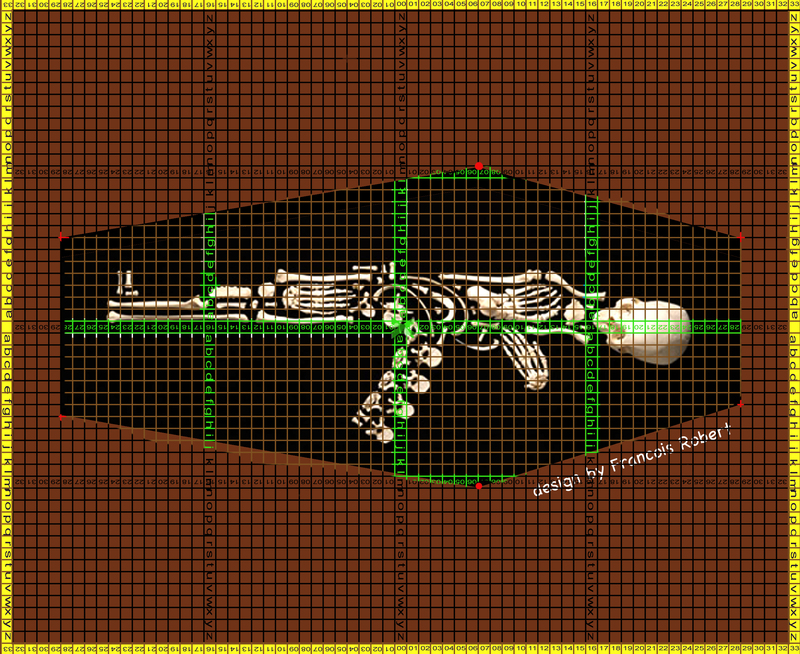 I made the black background into the image of a coffin. I wasn’t able to make this one for some reason. This was the first Chalkupy people did without me there. It was great not to be needed since the goal had been to make the techniques teachable and reproducible.